May 19, 2011, Red Bank, NJ - Giordano, Halleran & Ciesla, P.C. 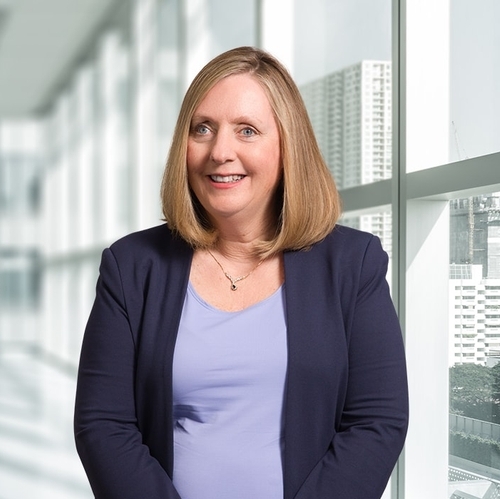 is pleased to announce that Beth Christian, Mount Laurel resident and shareholder at the firm, has been named Chair of the Health and Hospital Law Section of the New Jersey Bar Association. Ms. Christian has been a member of the Health and Hospital Law Section of the New Jersey Bar Association for over 20 years. Member of the firm’s Healthcare Practice Group, Ms. Christian devotes her practice to legal issues facing Health Care facilities, licensed professionals and non-profit organizations. Ms. Christian has been recognized as a leading New Jersey health care lawyer by Chambers USA (2010) and is the co-author of The New Jersey Healthcare Law Blog (www.njhealthcareblog.com), a blog dedicated to providing Federal and State healthcare news, laws, regulations, and upcoming events pertaining to the healthcare field. The Health & Hospital Law Section of the New Jersey Bar Association was created to keep its members informed of frequent changes in laws and regulations affecting the provisions of health care services through programs, conferences and publications. The Section and its committees organize professional and public education programs on health and hospital law issues; disseminate educational information; make recommendations on health and hospital laws, regulations, policies, and procedures; publish the Health & Hospital Law Section Newsletter; and provide a forum in which members of the New Jersey State Bar Association who practice or are interested in health and hospital law meet, exchange ideas, and expand their knowledge base and skills.